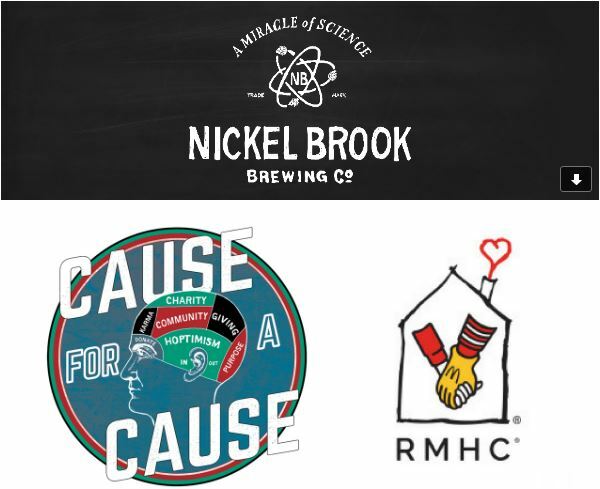 (Burlington, ON) – Nickel Brook Brewing Co. has announced that it will be donating a portion of sales from every can of Cause & Effect Blonde sold during the month of June to Ronald McDonald House Charities. Cause & Effect Blonde is one of Nickel Brook’s core brands. A clean, sessionable Blonde ale that weighs in at 4.7% and 19 IBUs, it is a highly approachable brew that’s perfect for summer. The beer is available in LCBO, Grocery and Beer Store locations across the province. For every can sold in the month of June, Nickel Brook is committed to donating 10 cents to RMHC. As well, Nickel Brook will be hosting a fundraiser BBQ at the Burlington brewery on June 17th, where all beer proceeds will be added to the final donation total. Further details will be available through Nickel Brook’s social media channels. Ronald McDonald House Charities is a network of 15 houses across Canada that provide a home away from home for families of children who are seriously ill and being treated at nearby hospitals. The first house opened in 1981, and the charity has expanded to bring their amazing resources to families across the country. 80% of the houses’ operating budgets come from private donations and community fundraisers such as Cause For A Cause. “We’re always looking for new ways to give back to our community, and now everyone who loves our beer can help out too” said Romano.